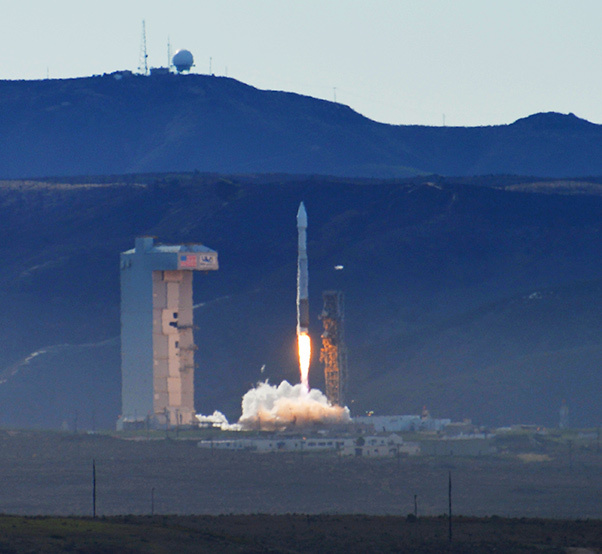 On Nov. 11, a United Launch Alliance Atlas V rocket lifted off from Space Launch Complex-3 at Vandenberg Air Force Base, Calif., carrying the WorldView-4 satellite into orbit. Once again, DigitalGlobe of Longmont, Colo., has expanded its capability to collect the world’s highest-resolution commercial satellite imagery of Earth’s surface. The WorldView-4 satellite, which is owned and operated by DigitalGlobe, was launched from Vandenberg Air Force Base, Calif., Nov. 11. Company officials expect it to provide customers around the globe with stunningly detailed views of our changing planet that may be used for improved security, civil planning, industrial development, energy exploration, geological research, environmental monitoring and other applications. Built by Lockheed Martin Space Systems Company, Sunnyvale, Calif., the satellite will provide 30-centimeter (12-inch) resolution panchromatic black & white and 1.24-meter (49-inch) resolution multispectral color images, the same quality now offered by the company’s WorldView-3 satellite that was launched in 2014. Additionally, six months after WorldView-4 becomes operational DigitalGlobe will be permitted to sell panchromatic imagery at up to 25-centimeter (9-inch) resolution and 1-meter (39-inch) multispectral imagery. DigitalGlobe is currently the only commercial provider of geospatial imagery of this quality, services that were only made possible after the company successfully petitioned the US Commerce Department in to relax resolution restrictions prohibiting the sale of imagery with better than 0.5-meter (20-inch) resolution to any customer not explicitly granted a waiver by the U.S. government. WorldView-4 will provide DigitalGlobe’s commercial, government and international customers with high-resolution imagery at resolutions better than 30-centimeters per pixel. DigitalGlobe executives decided to launch WorldView-4 in order to increase satellite availability to its customers — primarily government agencies — after the U.S. National Geospatial Intelligence Agency reserved much of WorldView-3’s available capacity. Orbiting at an altitude of 617 kilometers (383 miles), WorldView-4 can capture as much as 680,000 square kilometers (approximately 262,549 square miles) of Earth’s surface each day — or roughly equivalent to the total land area of Texas. With a design life of seven years, the spacecraft is actually expected to remain in service for as much as 10 to 12 years. WorldView-4 will offer exceptional geolocation accuracy and be able to “revisit” any point on the globe every 4.5 days or sooner, depending upon the customer’s required look angle. The launch of the WorldView-4 was a long time coming. The spacecraft was originally constructed for GeoEye Incorporated as GeoEye-2 after Lockheed Martin was awarded a contract to build the satellite in March 2010. GeoEye merged with DigitalGlobe in January 2013, just four months prior to the planned launch of GeoEye-2. 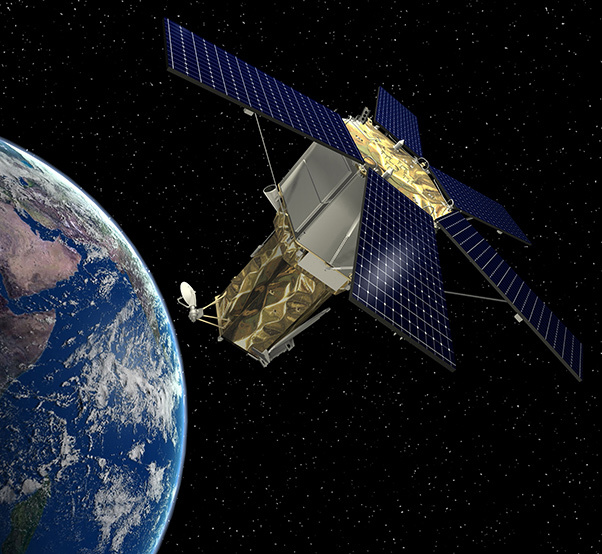 By that time DigitalGlobe had already scheduled WorldView-3 to launch the following year, and the company decided to retain GeoEye-2 as a ground spare until such time as it was needed. In late 2015, DigitalGlobe announced that increased market demand made it desirable to launch the satellite — now renamed WorldView-4 — the following September. The mission from Vandenberg was postponed twice due to a small liquid hydrogen leak, and then scrubbed again when a wildfire threatened the launch facility. During the latter incident, WorldView-3 provided daily imagery of the active fire line and hot spots, as well as the resulting burn scar that covered more than 12,000 acres of brush land east of the launch pad. 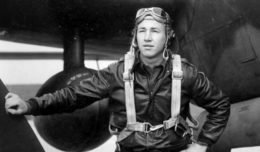 Col. Chris Moss, 30th Space Wing commander, was the launch decision authority. 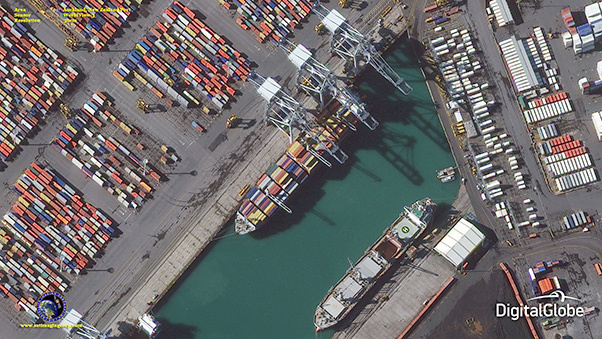 This 30-centimeter resolution image of a cargo terminal at the harbor in Auckland, New Zealand, taken by WorldView-3 is similar in sharpness to what WorldView-4 will offer beginning in early 2017. 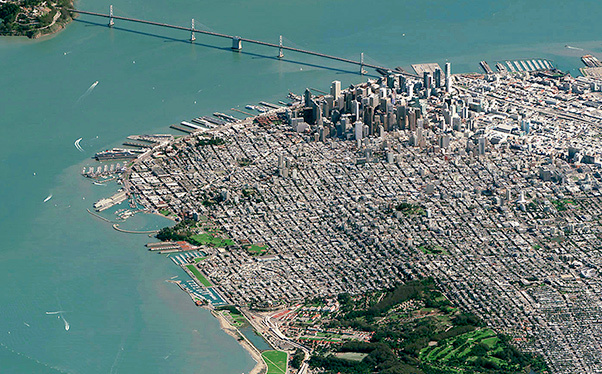 WorldView-3 took this oblique image of downtown San Francisco, Calif., from a distance of approximately 1,400 miles.